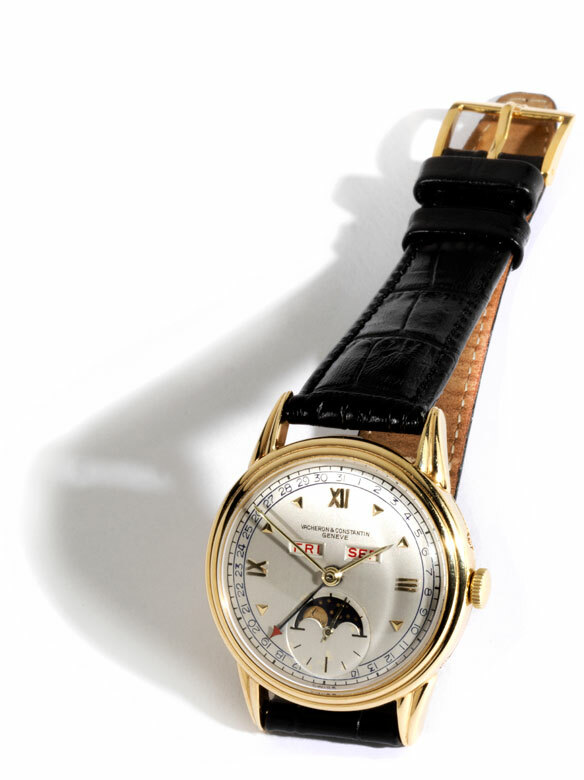 Fine calendar by VACHERON & CONSTANTIN in 18-ct yellow gold, 33 mm in diameter. 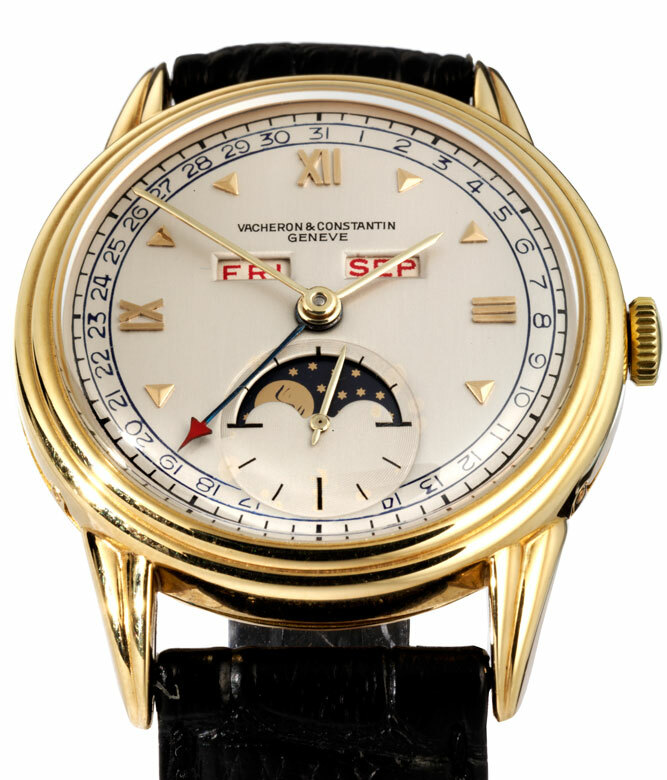 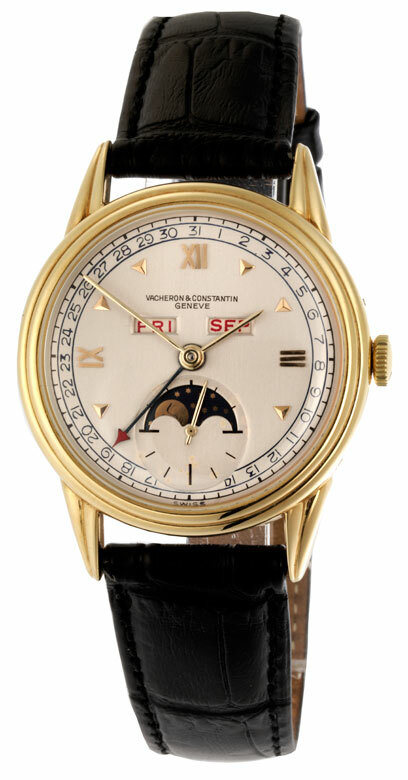 Silver dial with Roman numerals and gold arrowhead indices and date, weekday, month and moon phase registers. 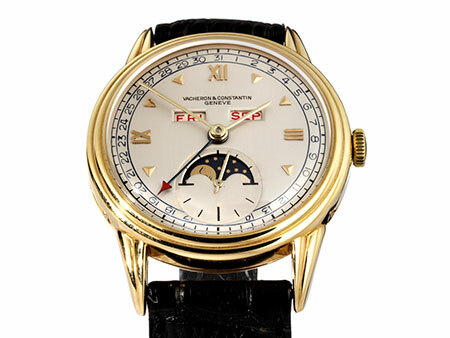 Manual wind movement with 17 jewels, calibre V485, 1940s.